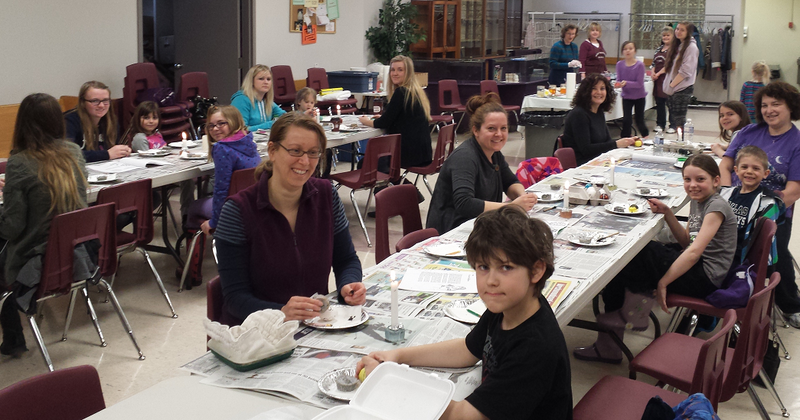 On Lazarus Saturday morning a group of parishioners, together with their families and friends, gathered in the church auditorium for an amazing Ukrainian Pysanka (Easter Egg) workshop. There were instructors, instruments, manuals, books of designs that covered all the regions of Ukraine as well as all the traditional symbolism. Colours? 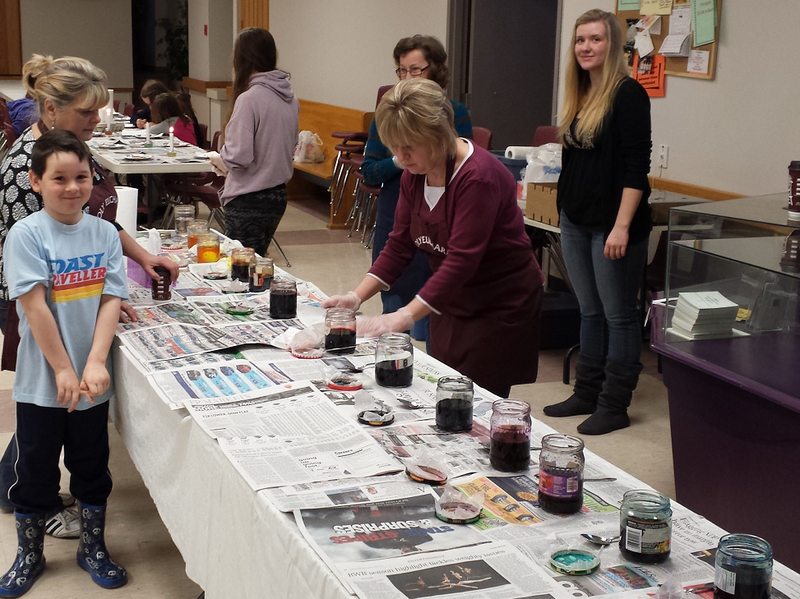 There were so many dyes that seemed go beyond the visible spectrum. Everyone had the chance to design and colour the eggs in the traditional manner of writing the design on the egg and then trapping each colour in the wax as the egg was “soaked” in the dyes. When the wax was removed (by a process of passing the eggs through a hot liquid) what was left was wonderful, colourful art – ready for the Easter Baskets that will be brought for blessing on Holy Saturday afternoon (2, 3 and 4 pm btw).